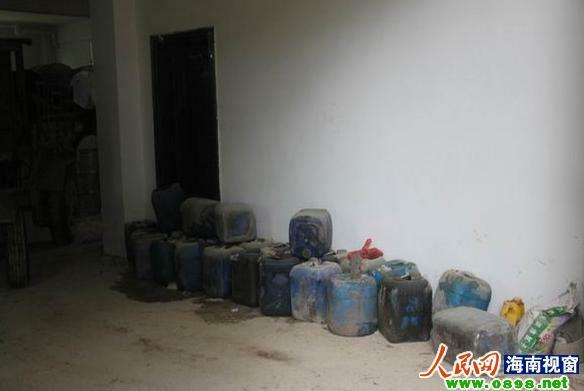 The raw materials of "recycled oil"
The Sanya Industry & Commerce Department and the Sanya Public Security Department launched a crackdown on an unlicensed manufacturing point of illegal cooking oil made from gutter oil and swill-cooked oil at Luobi Village, Jiyang Town, Sanya on 14th March. 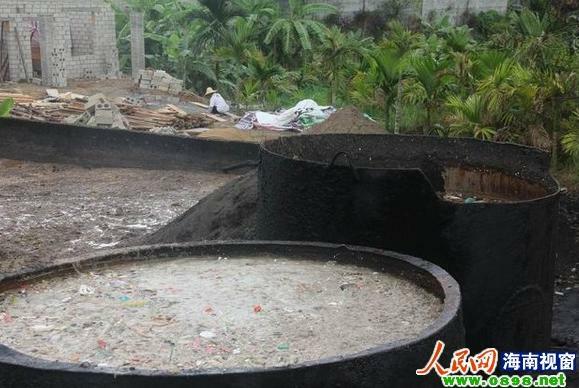 The manufacturing point was ordered to close down by the Sanya Industry & Commerce Department last year, but the owner reopened it again and hired more than 10 workers to secretly process the gutter oil in the late night, an insider said. The oil processed out of gutter oil and swill-cooked oil is likely to flow to some seafood restaurants in Sanya and Haikou. Mr. Wu, the insider, said the manufacturing point has run for more than 10 years. 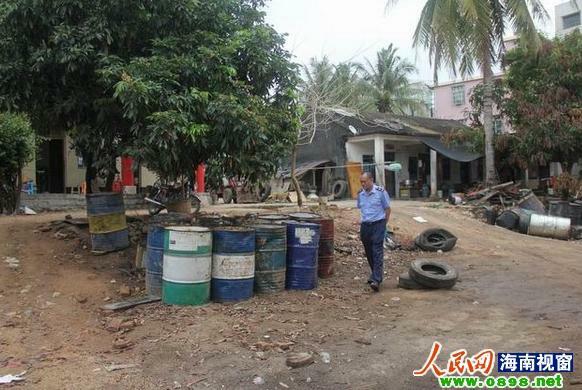 He said the point has destroyed the environment of the village, and he was worried that the illegal cooking oil will harm the health of consumers.